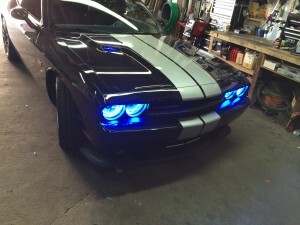 Added lighting: RGB oracle Halos, Lights in vents, Wheel lights and interior lighting. 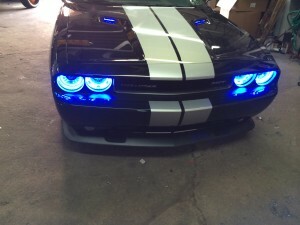 We smoked out the rear lenses and added a light sequencer for his turn signals. 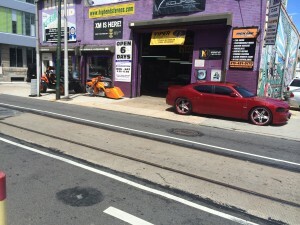 We added a Viper alarm to work through his factory remote for extra security. 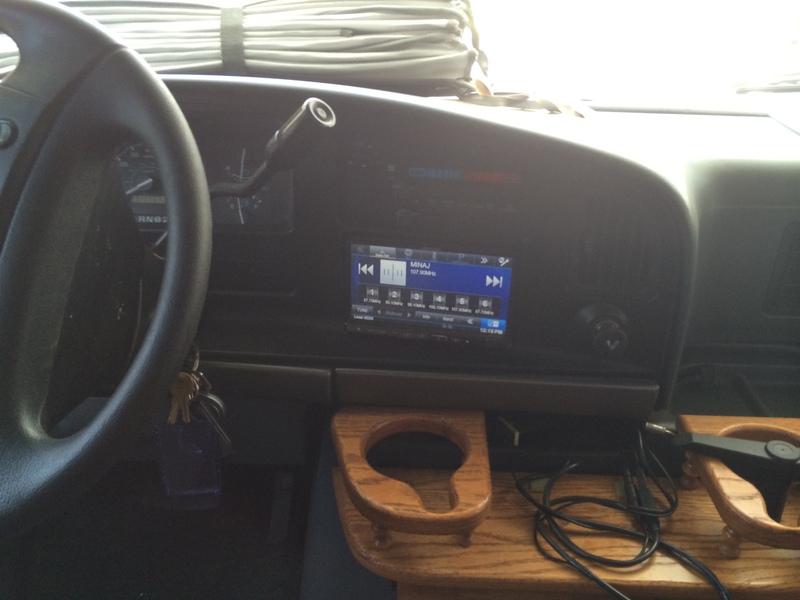 We fiberglassed a Alpine INE-928HD 8″ radio by relocating the climate control and heated seat buttons. 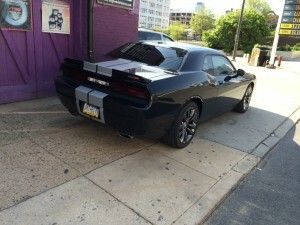 Added a back up camera by removing one of the factory rear parking sensors for a stealth look. 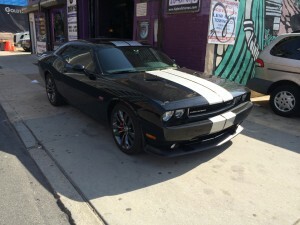 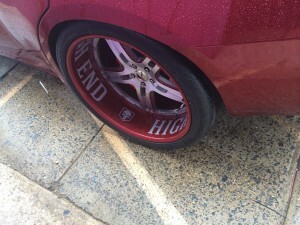 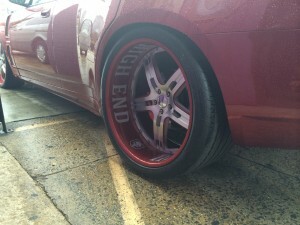 We took this amazing vehicle and upgraded the wheels to 20″ Savini staggered. Custom painted the wheels to match vehicle. We also limo tinted the R8. 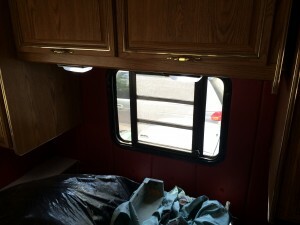 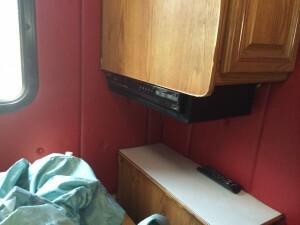 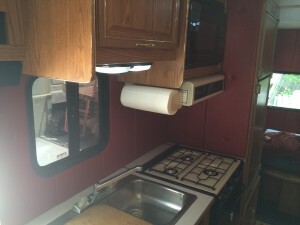 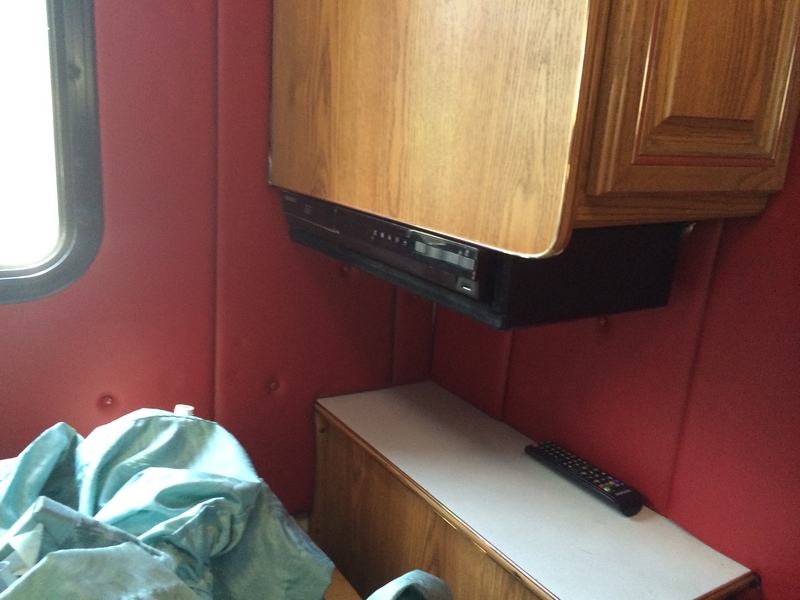 We took this RV with only 50,000 miles on it and changed a 90 style interior over to an updated one. 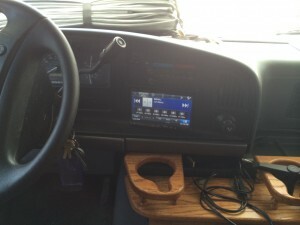 We installed a Viper 5706 with a smart start GPS for security. 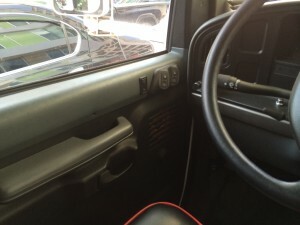 We installed power windows and locks and a set of Hertz components. 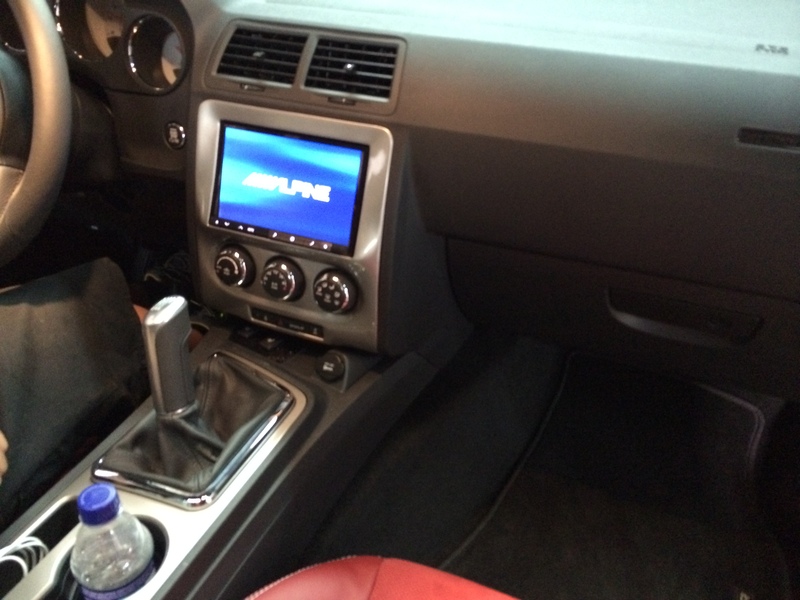 We put in an Alpine ine-927 7″ navigation radio with Alpine back up camera. 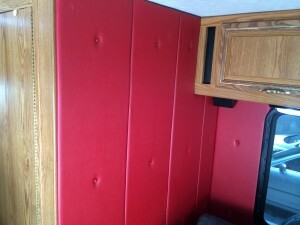 We redone all the seats and beds in micro suede and leatherette. With red piping through out. 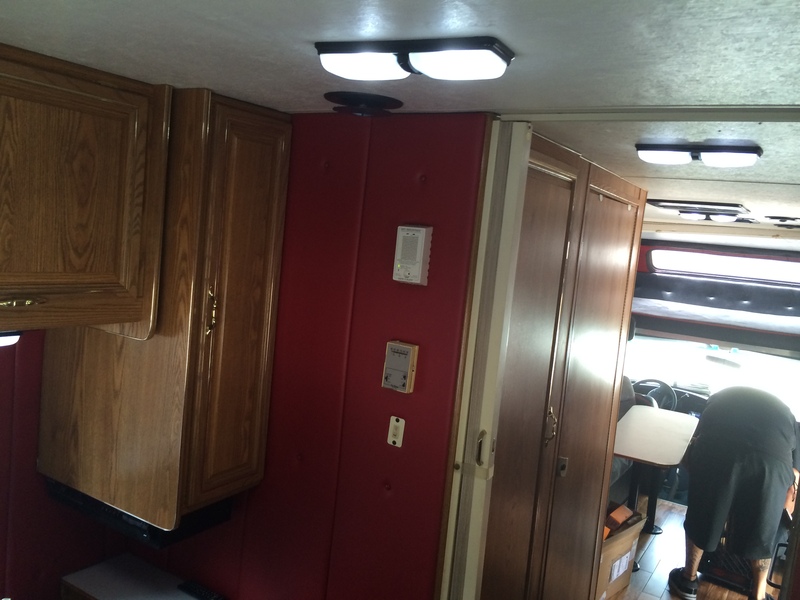 We painted all the lights and changed over to LED. 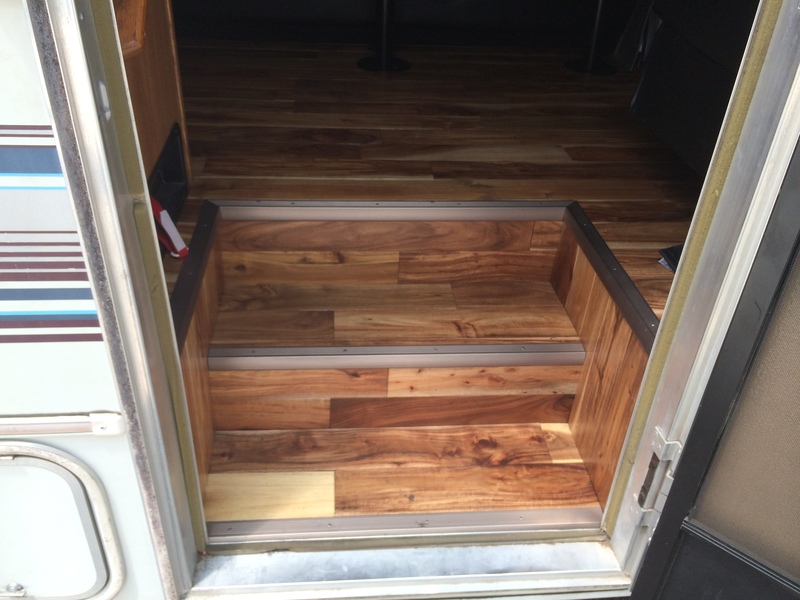 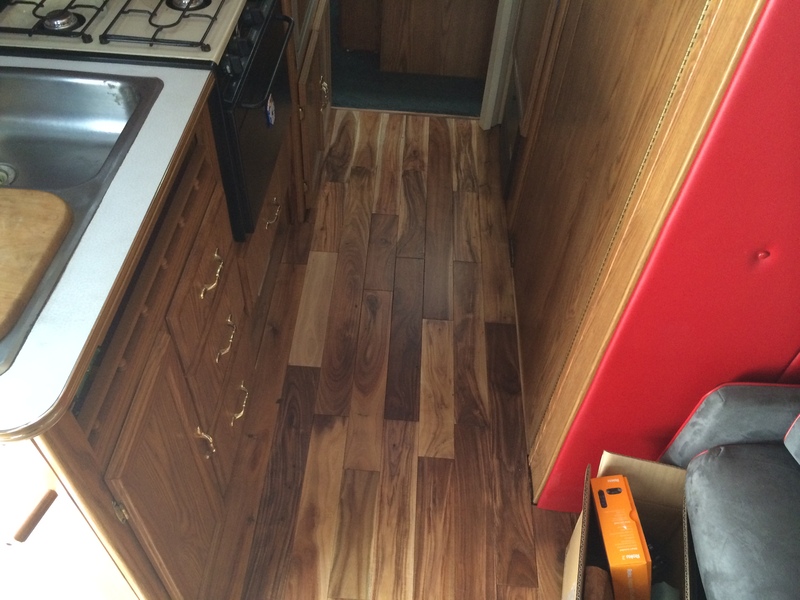 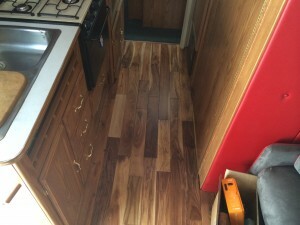 We installed solid oak flooring through out. 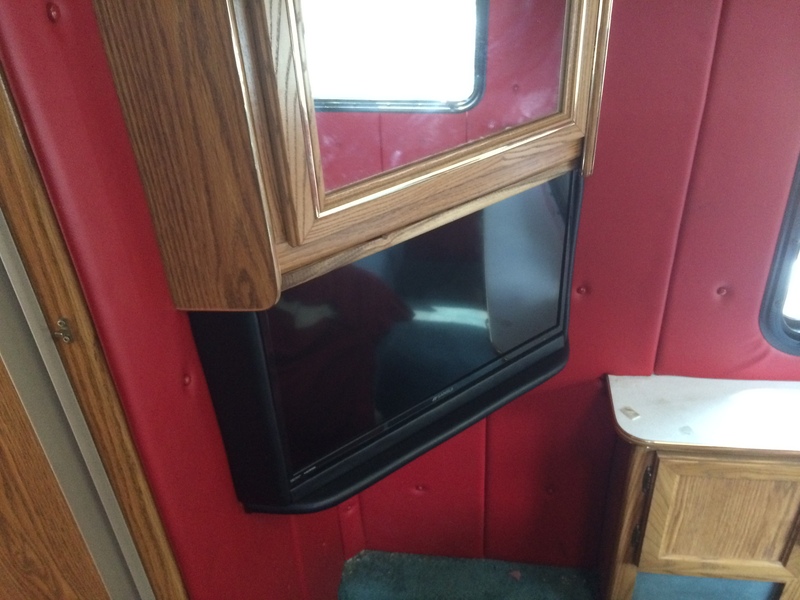 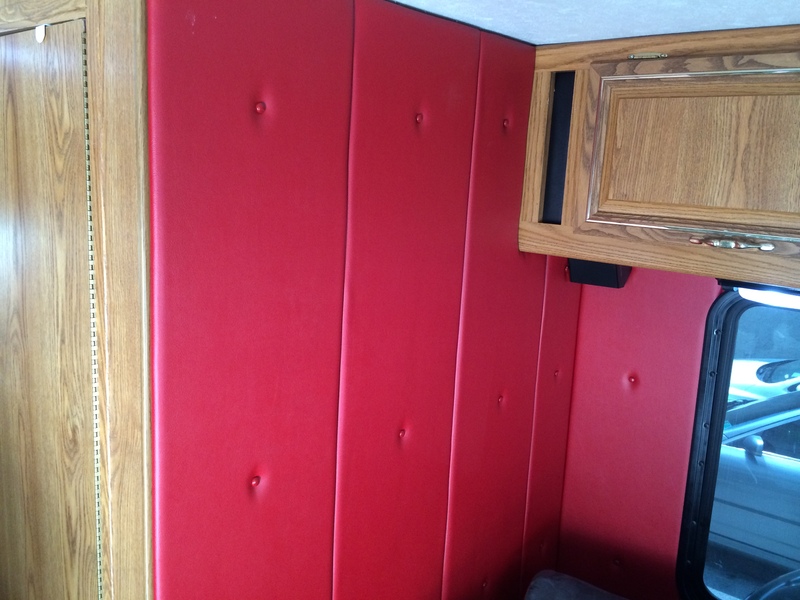 We installed red leatherette panels on all the walls and padded them. 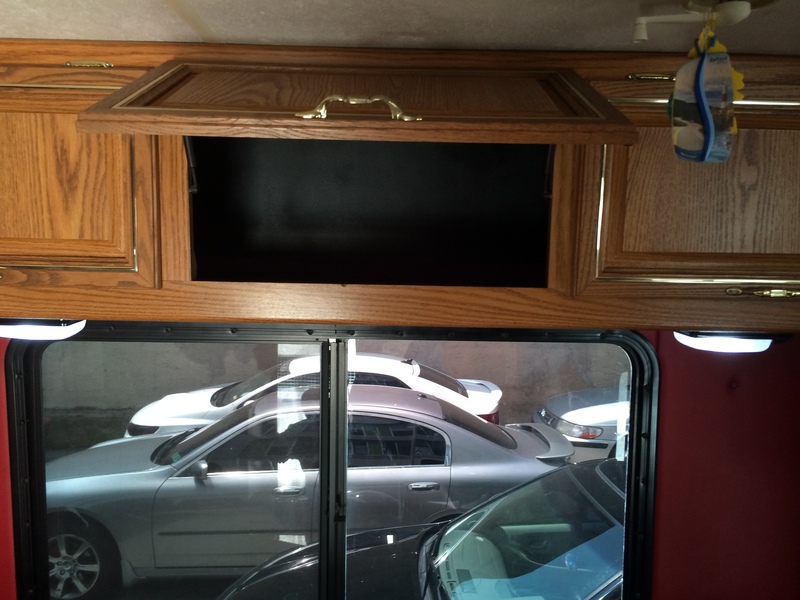 All the trim throughout was replaced to match cabinets. 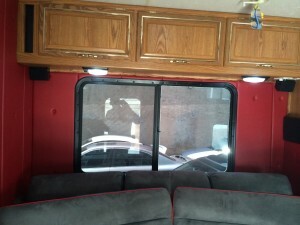 We installed two led panels with two blueray players and roku boxes. 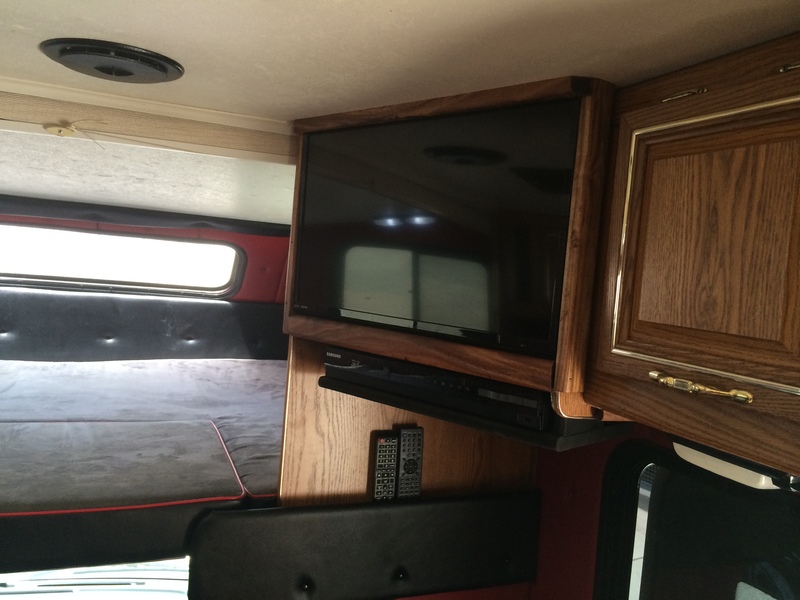 Also two surround sound systems (one in the living room area and one in the bedroom). 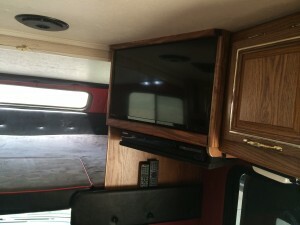 All custom built to RV. 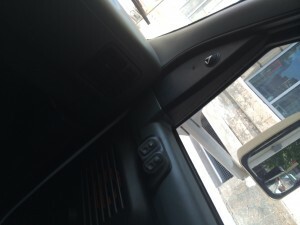 We also limo tinted the windows for privacy. 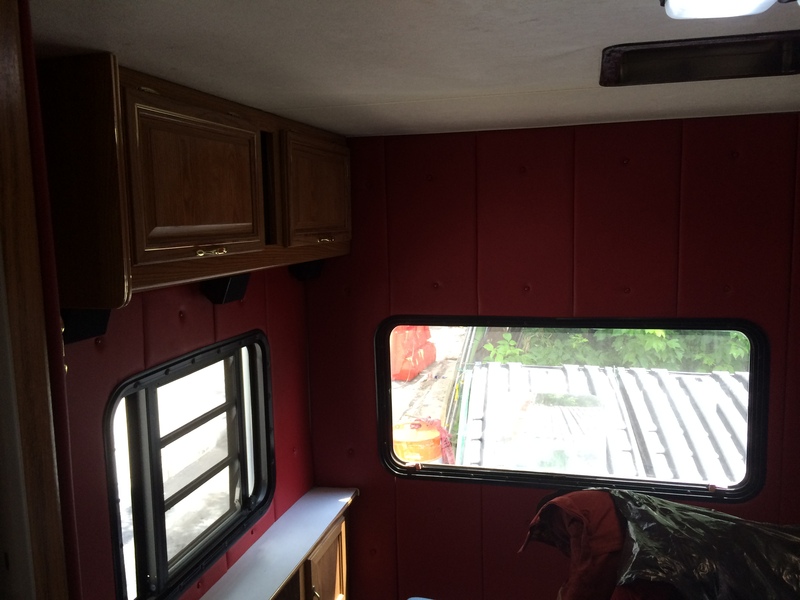 We also added a train horn.